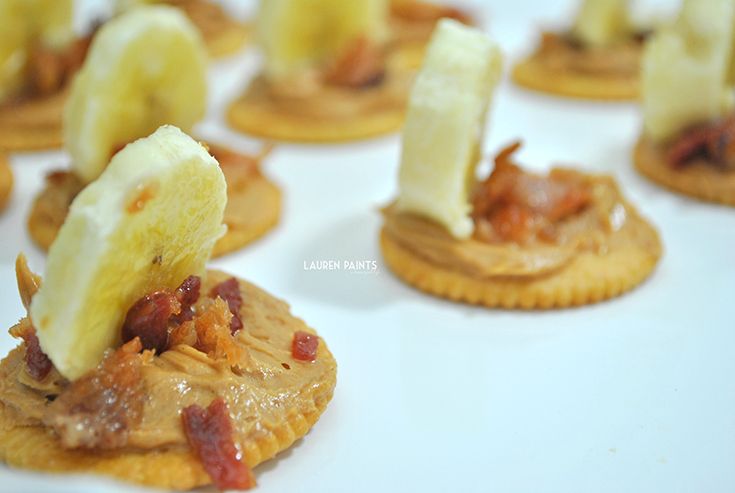 Today's your lucky day, I'm sharing a delicious Elvis inspired Hors d'Oeuvres recipe and I'm also sharing how you can enter for a chance to win one of forty $100 Walmart e-Gift Cards (10/week) by uploading an Instagram photo of your RITZ®-topped creation with #putitonaritzcontest. 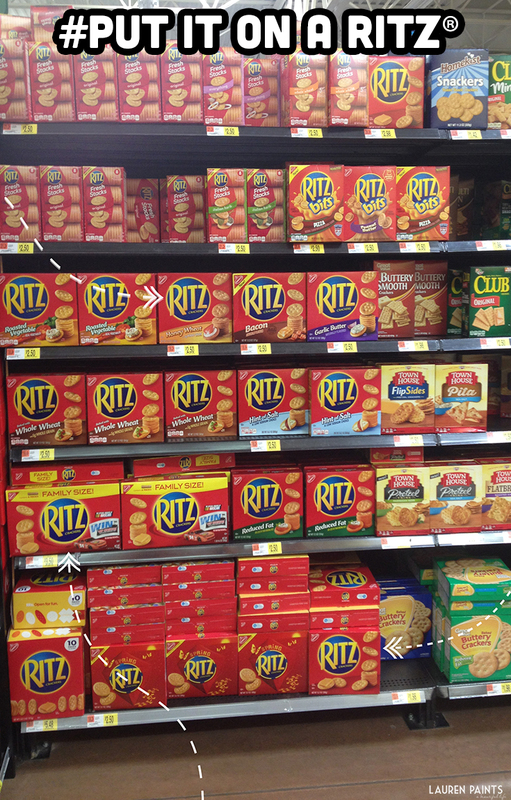 Although, the purchase of RITZ® is not required. I'm a snack-er, as I've shared in the past. I love trying new foods and I actually consider myself a foodie of sorts so instead of making bland ol' recipes, I'm typically one to get creative with foods. As you can imagine, when I discovered "The Elvis" Sandwich (Banana, Bacon, & PB), I was all over it like white on rice. 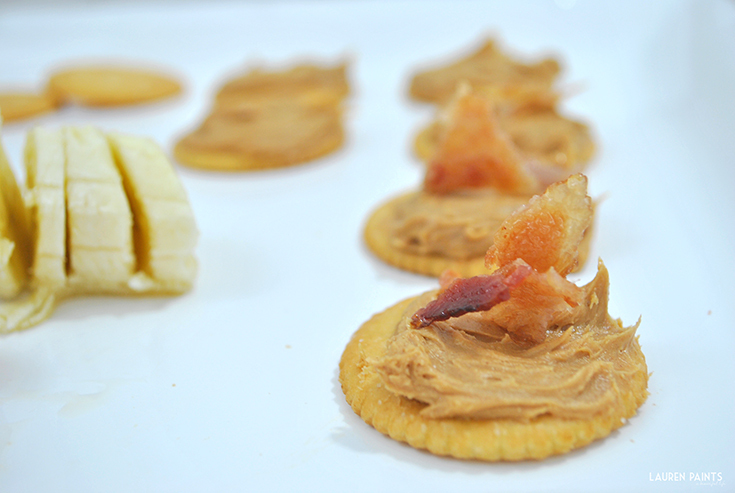 Then, when I was snacking on peanut butter and RITZ® crackers last week I had the brilliant idea of merging The Elvis and RITZ® crackers. 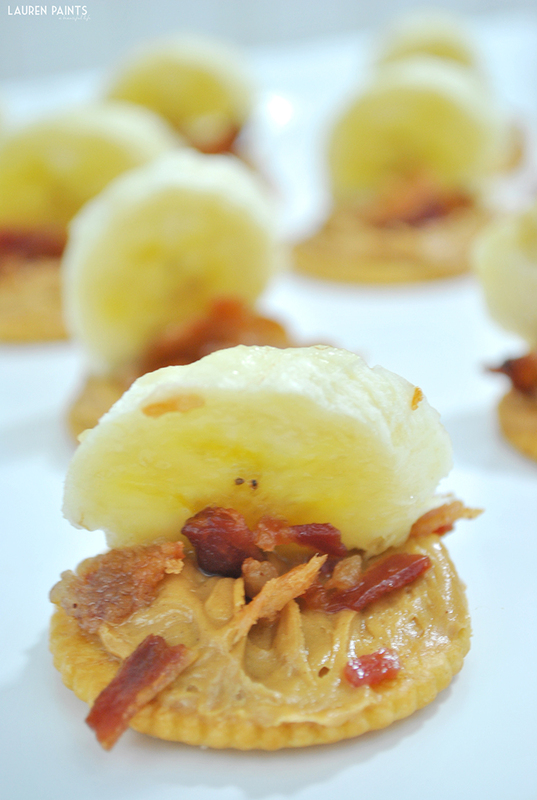 I put it on a RITZ®, making the ultimate Hors d'Oeuvres to serve anytime! 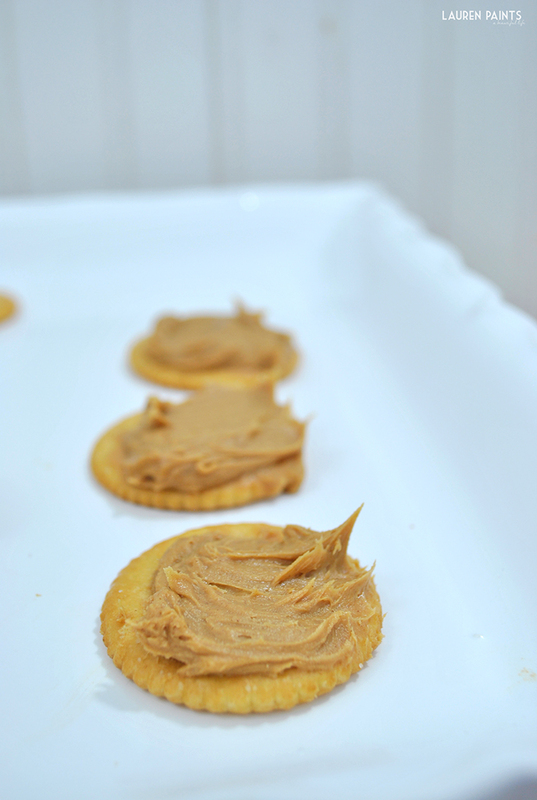 This little recipe is so easy to make and it's the perfect snack for on the go - with protein and just the right amount of sweetness to curve your cravings! The King really knew what he was talkin' about when it comes to food! These little delights involve minimal prep and maximum taste, which makes them a new favorite in my book! Everything you need should be in your kitchen already if you've visited Wal-Mart recently, so need to run to the store either - BONUS! 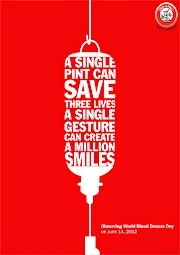 Now, this is all really self-explanatory, I think, but just in case. Bake the bacon in the oven for 10 minutes or so at 375 degrees, allowing it to get crispy-ish just the way The King liked it! 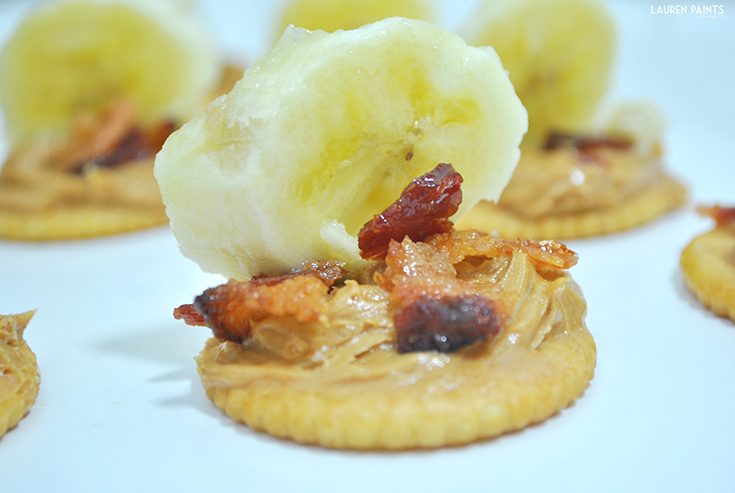 While your bacon is baking, add peanut butter to your RITZ® crackers and go ahead and slice up a banana. Remove the bacon from the oven and allow it to cool some. 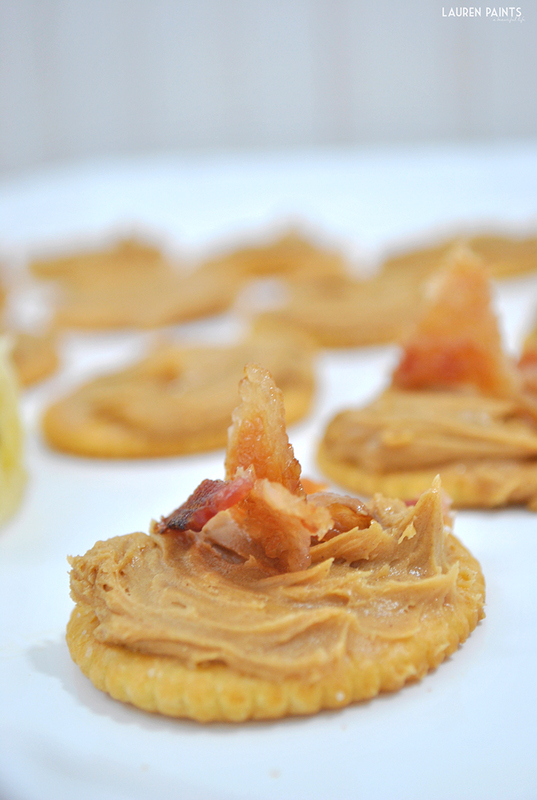 Once cool, break it up into small pieces with your fingers and sprinkle over your peanut butter topped RITZ® crackers. Lastly, top each cracker off with a finely chopped slice of banana. 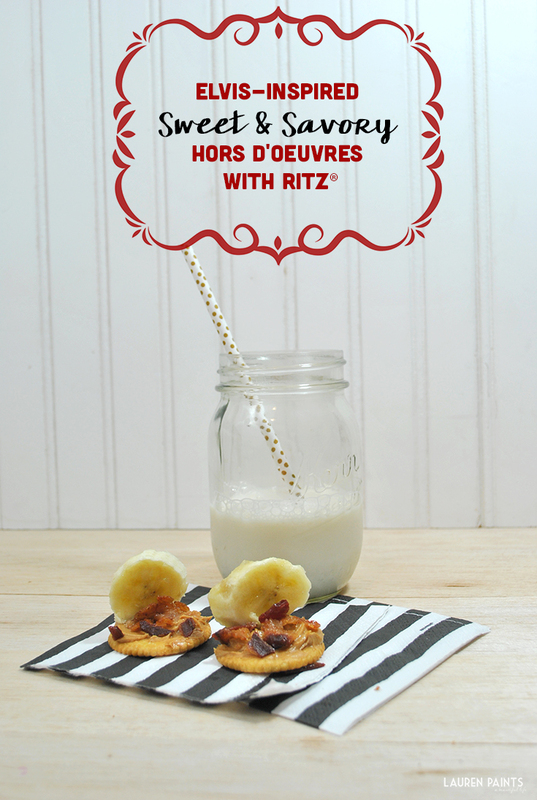 Now it's time to snack on this savory, yet sweet treat... and get creative with your own RITZ® cracker recipe! 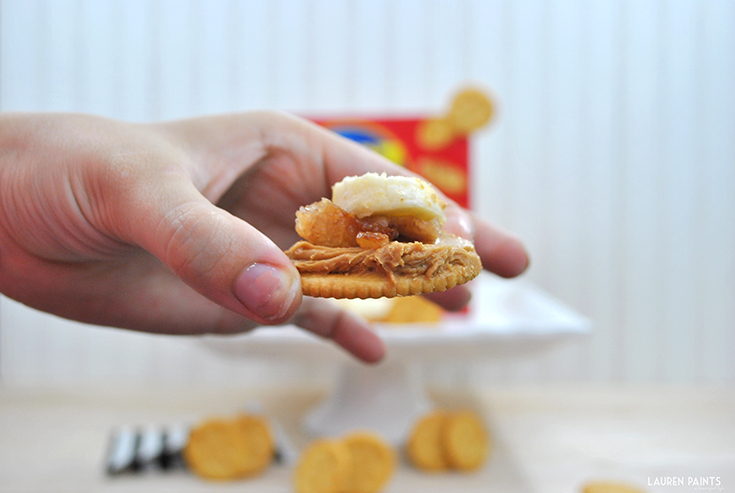 Click HERE to enter the Snackify Challenge with your own RITZ®-topped creation for a chance to win a $100 Gift Card! 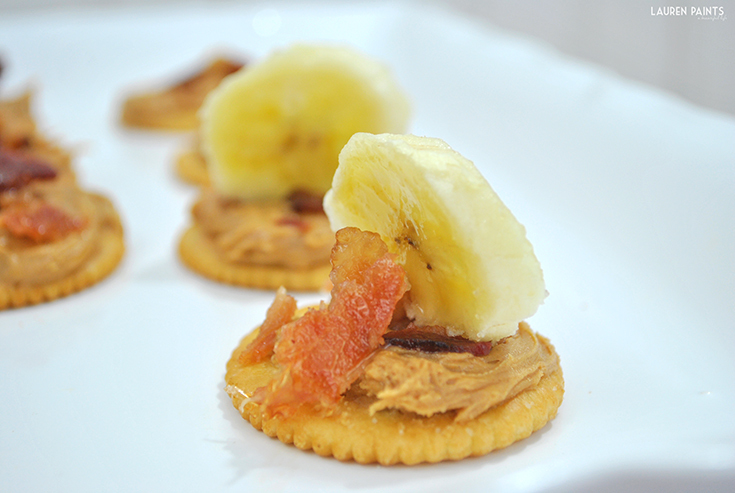 Now that I've shared my most recent snack-ified RITZ® creation, I'd love to know what you recipe do you have in mind to make with your RITZ®?